Access to the right information at the right time is critical for first responders. BCI offers a simple solution featuring the Unitech PA968 data terminal that can help automate first response accountability efforts, providing the information needed to dramatically improve response times and on-the-spot decision making. 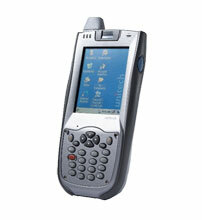 The BCI FIRST-RESPONDER-PA968 is also known as FIRST-RESPONDER-PA968	or FIRSTRESPONDERPA968	.